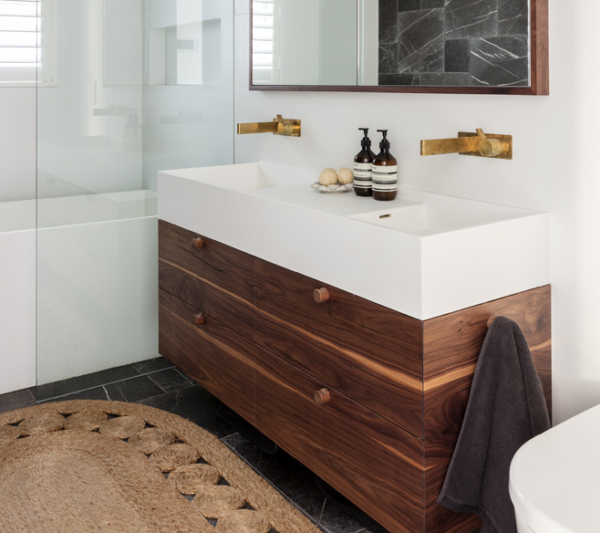 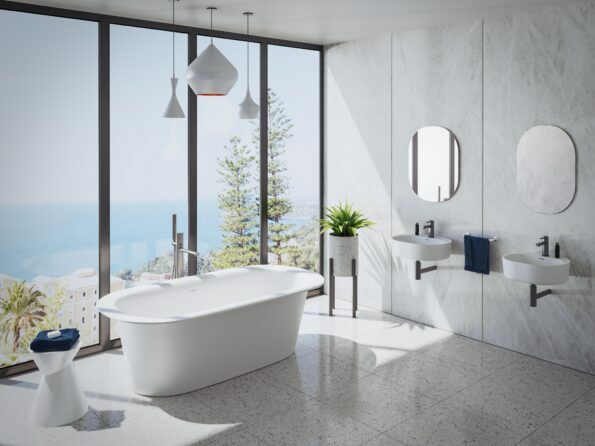 Lilli bath’s soft, sculptural lines create a statement piece for the bathroom and are designed to perfectly partner the Lilli 400 and 550 basins as well as the Lilli mirror. 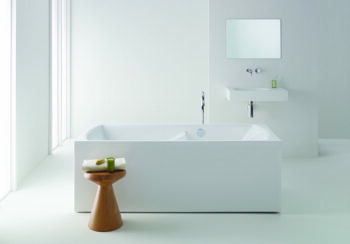 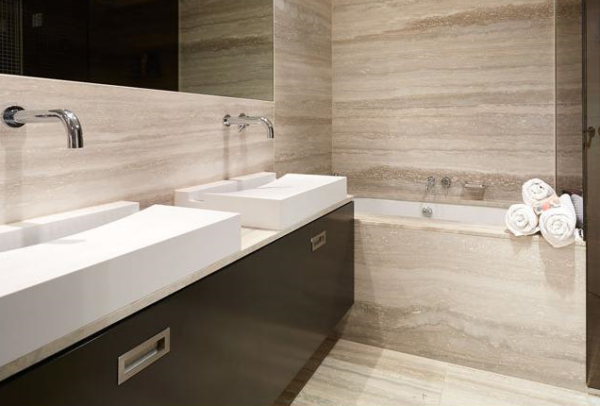 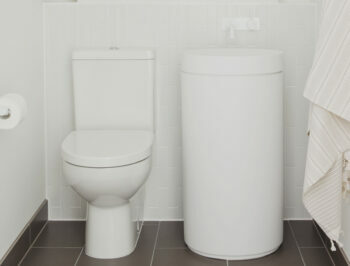 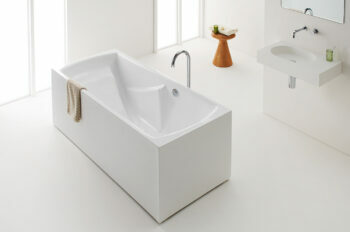 Enhancing the bath’s appeal is its depth, which allows users to soak in ultimate relaxation. 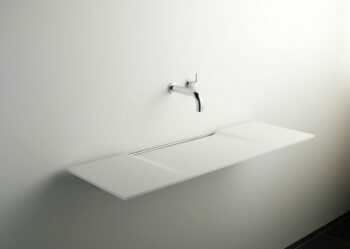 The thin lip drew inspiration from a blooming flower, it looks delicate, however offers a practical shelf or seat. 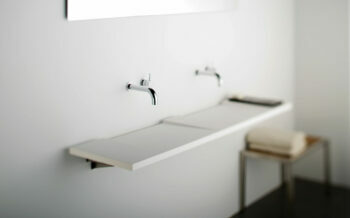 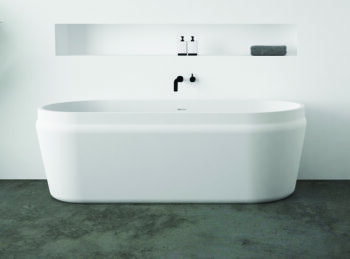 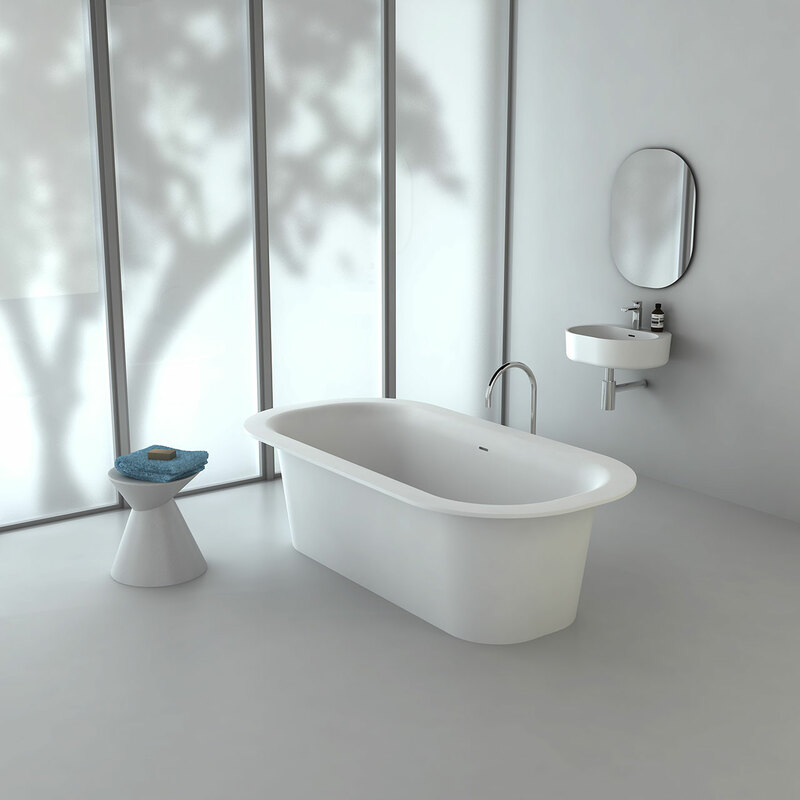 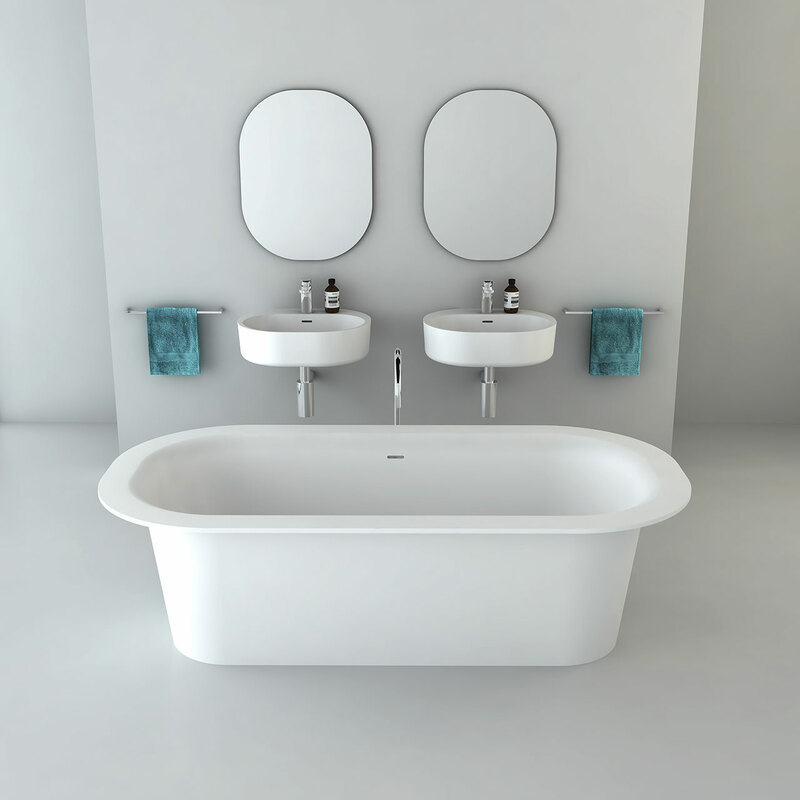 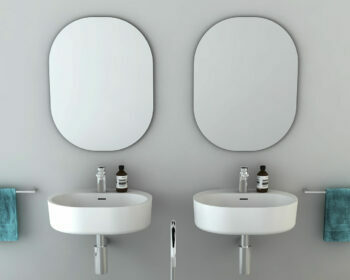 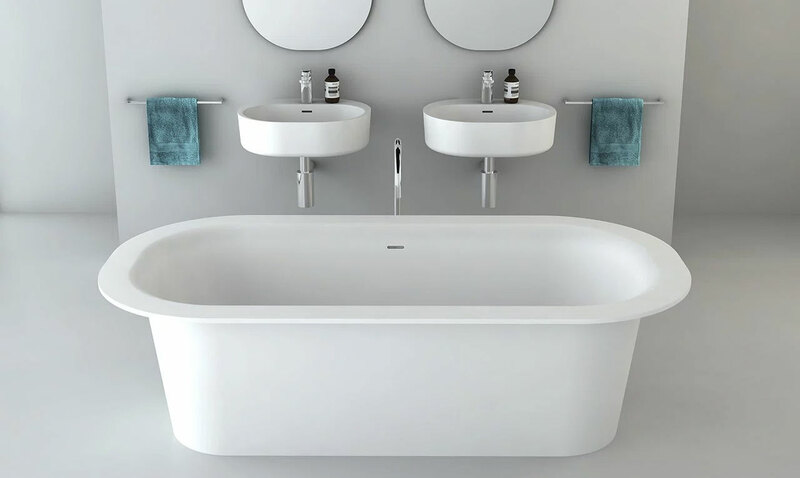 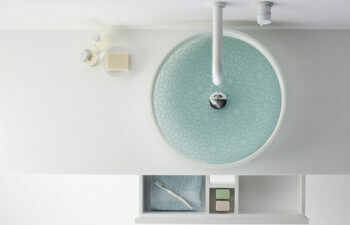 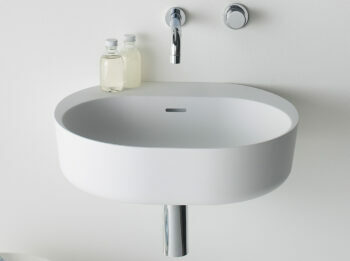 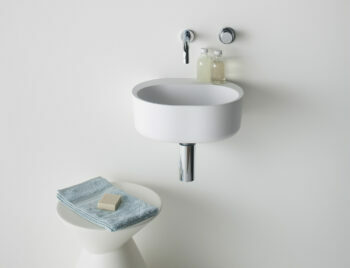 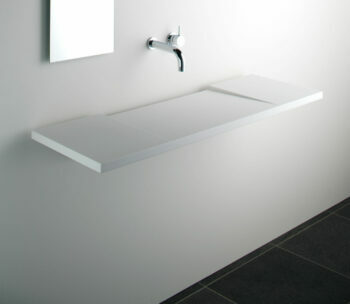 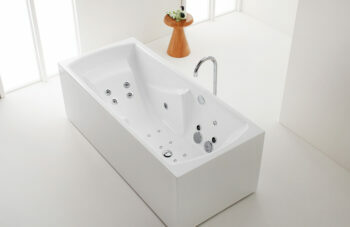 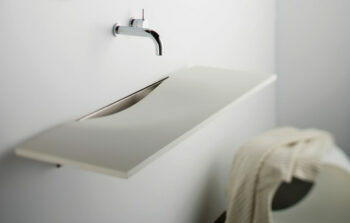 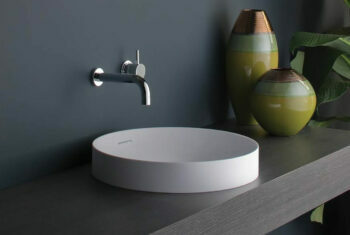 Created from solid surface, the Lilli bath can be customised with Omvivo’s unique Softskin option. The gorgeous Lilli bath has an overflow for peace of mind and is supplied with a white solid surface coated plug and pop up waste.